A common problem in podcasts produced by the inexperienced is an abundance of undesirable low-end frequency. For example: excessive bottom end that’s audibly disturbing when people hit their microphones, slam their arms on a desk, or a car drives by with its subwoofer blaring. 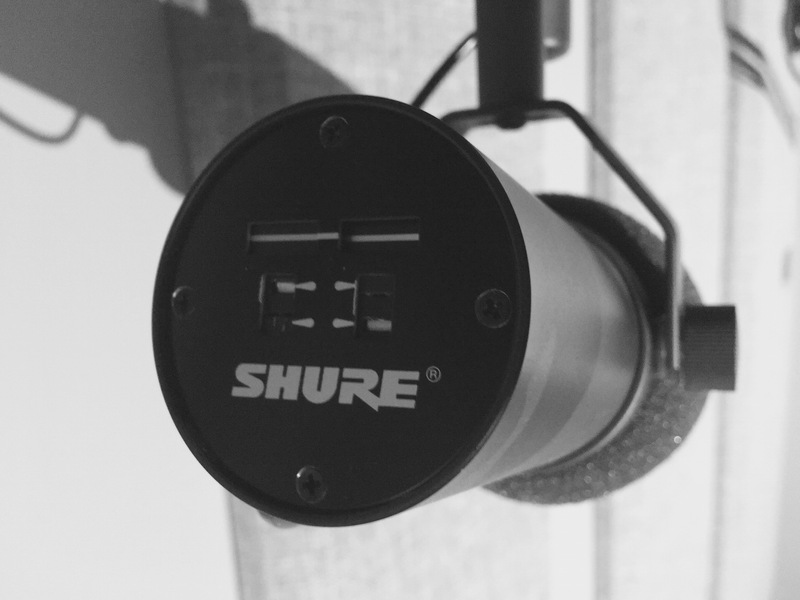 If you record in a noisy environment, this amplifies certain problematic frequencies. Short of recording in an acoustically treated room away from the noise of the outside world, you can’t completely get rid of all undesired frequencies. You can of course minimize the impact or “energy” of the problem. 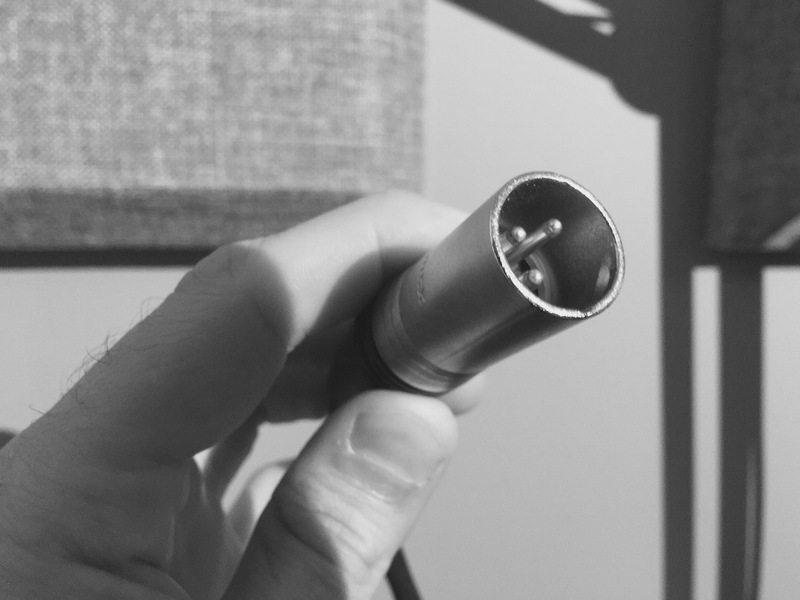 If you have a dynamic or condenser microphone with an XLR connector, there’s a good chance you will find a switch on it that is a bass roll-off (sometimes referred to as HP or High-Pass). The characteristics of the bass roll-off implementation can vary from microphone to microphone. Consult the manual from the manufacturer to get the details on how they implemented a bass roll-off. What frequencies should I filter? A High-Pass filter, as the name suggests, allows high frequencies to pass through whilst unwanted low frequencies (below the frequency cut off you specify) are attenuated. For spoken word, I typically filter below 100 Hz as you really don’t need frequencies below that (with a gentle 6dB/oct slope). In the illustrated example below, the microphone I use is a Shure SM7B. At the rear, there are two switches: one provides a presence boost, the other a bass roll-off. 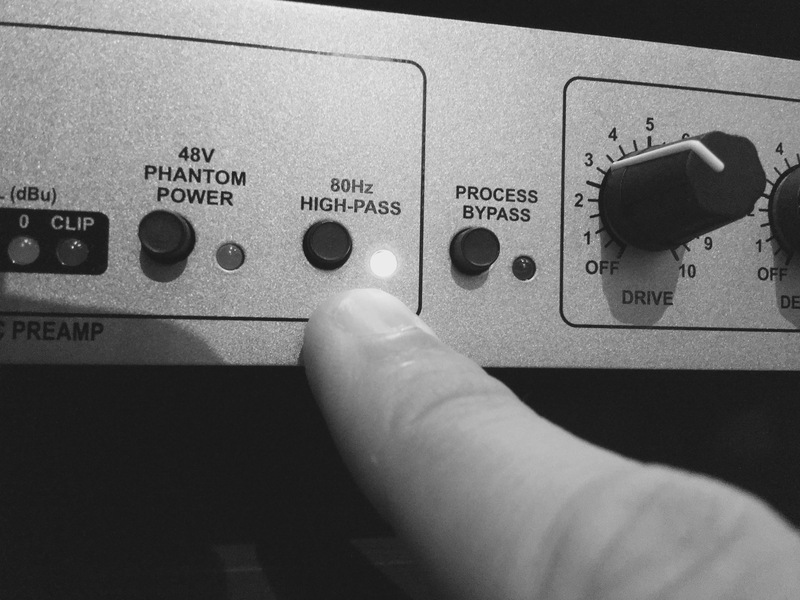 Audio engineers will tell you filtering closest to the source is best. I would agree, but in some scenarios, you’ll find the bass roll-off too aggressive. The SM7B is a fantastic microphone, but I don’t roll-off on the microphone because the filtering slope begins at around 200 Hz. There are some lower frequencies in a male voice that I like to retain around 150 Hz). Other dynamic microphones more commonly roll-off at around 100Hz or even 80 Hz. There are other microphones that offer granular controls such as the Sennheiser MD-421 that have multiple bass roll-off options. If you don’t filter at the source, there are 3 other options: filter at the mixer level if you have the luxury of owning one, filter at the preamp/channel strip, or in software. My primary recording software is Adobe Audition. The example below applies to other popular software packages such as: Avid Pro Tools, Logic Pro X, GarageBand, or Audacity. Plugins are little software programs that can be inserted into an individual audio track to apply a particular desired effect such as: dynamic processing (compression), reverb, delays, equalization, and more. 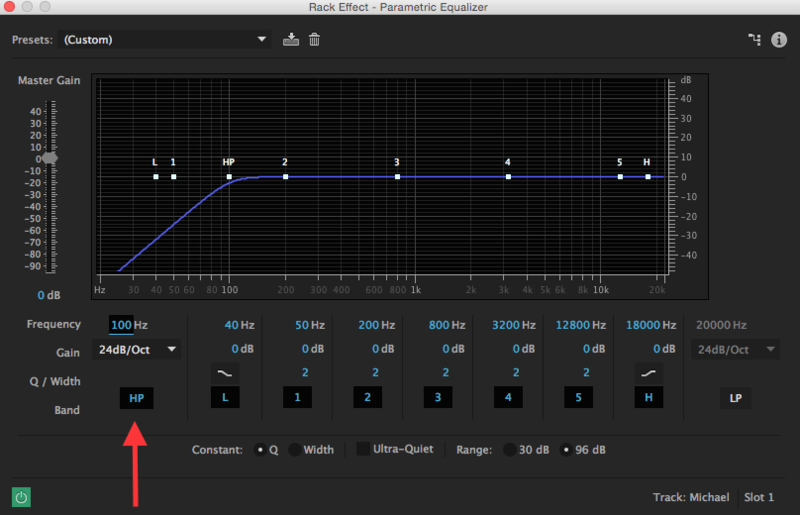 To filter out low frequencies, insert an EQ plugin into the problematic audio track. Enable the HP button and specify a value for the filter. Note that I set mine to 100 Hz. Note: If you prefer, you can filter all tracks at once, and how you do that is by inserting the same EQ plugin on your “Master Bus” track. The Master Bus is a stereo bus that sums all of the individual audio tracks together. A series of eight notes occupying the interval between (and including) two notes–one having twice or half the frequency of vibration of the other. To put this all together, my High-Pass filter will filter out frequencies at 100Hz or lower and will cut them on a relatively aggressive slope of 24db per octave. 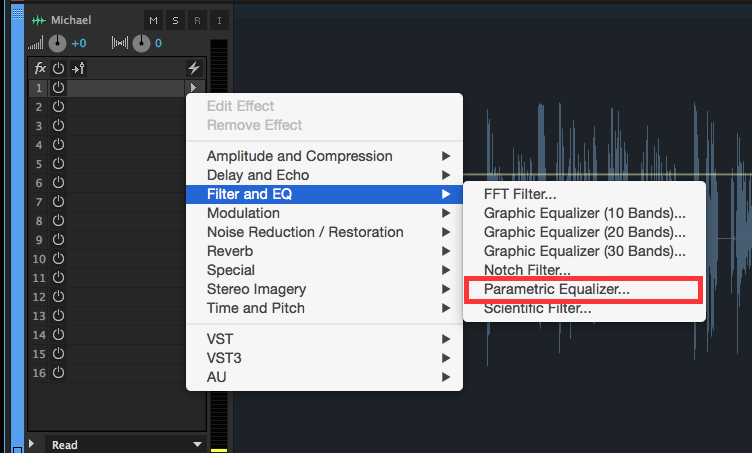 You now have an understanding of problematic frequencies that you want to remove from your podcast audio, how to remove them, and what exactly is going on from a technical perspective behind the scenes.